There is so much to love about fall. The crisp air. All things pumpkin. School starting (praise the Lord!). New boots. I'm bringing back my 5 Faves today. 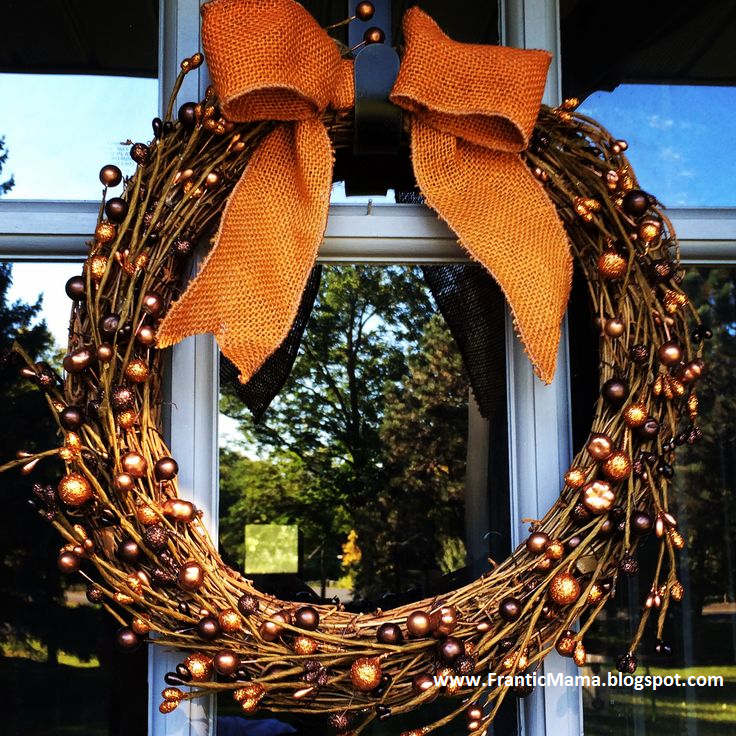 Welcome to my 5 Friday Faves: Fall Edition. Have you seen these decorative, lighted wire pumpkins? They are so beautiful (the computer image from Pier One doesn't do it justice). They are available at Target, Pier One, and Grandin Road. The lights in them glow at night, and they shimmer during the day, adding a touch of seasonal whimsy to your front stoop. I've been cruising the Pinterest boards recently, and the inspiration for fall decorating has me motivated. For the first time, I've made an effort to add some fall decor in and outside out home. I started with a pretty wreath, and then I added the aforementioned pumpkin. Sure, it isn't "things" that make us happy, but I definitely feel happy when I see such fall finery gracing my front stoop. Pinterest is full of clever, pretty fall inspiration. (You can find me on there: www.Pinterest.com/FranticMama). I haven't read the book, but the movie is perfect for anyone who loves a good dose of nerd humor with their romance. The movie features a quirky Keri Russel, the girl from Felicity, as she vacations at a Jane Austen-themed resort. FranticMamaHubby was a good sport and watched the whole movie with me, but it is definitely geared toward the ladies, especially my fellow English Lit majors. Now this is a tasty, easy fall dish. The gnocchi makes a delicious side dish, or it can be a nice vegetarian main dish if you add some veggies into the pan. 5. Pumpkin Ale. Hmmm... I'm noticing a trend here: almost all of my Faves lists include some variety of alcohol. Well, no need to break with tradition now. I may not go for the insanely popular Pumpkin Latte (too sweet! weird to drink pumpkin pie! ), but a not-too-sweet pumpkin ale tastes like fall without being cloying. Sam Adams and Blue Moon offer seasonal pumpkin options; I like both. What am I missing? What do you love about fall or hope to add to your home/closet/pantry this season? You can Like Frantic Mama on Facebook! Find more of my work on: Mamalode and Felicity Huffman's What the Flicka? Clash of the Couples, an anthology I'm in, comes out November 3rd, on Amazon, Apple, and more. You can like the Facebook page here for updates and funny previews!